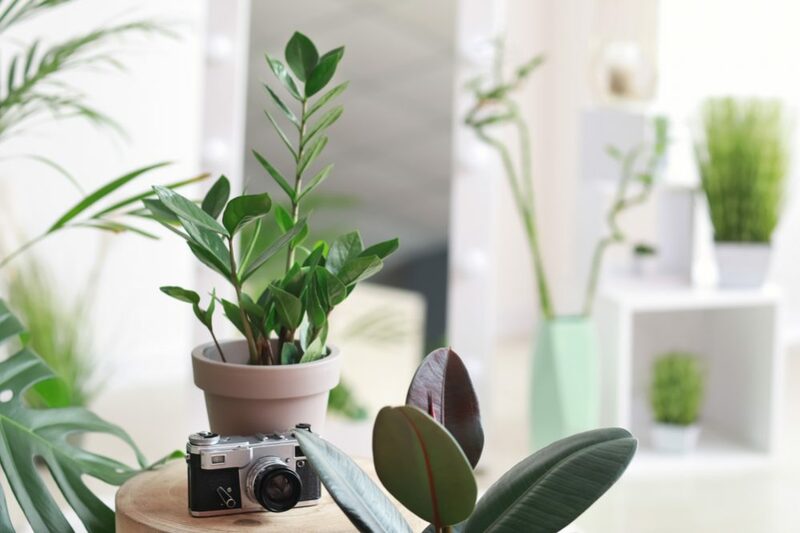 A house without plants can feel cold and unfriendly, but with just a few well-placed pots, you can really change the atmosphere of your interior spaces. 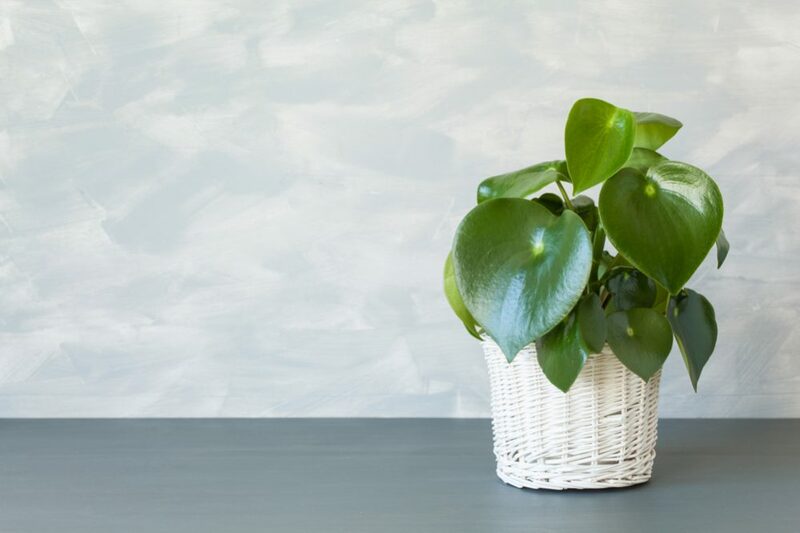 Unfortunately, not everyone has the magic touch to keep them alive – so here are the top 23 houseplants that are nearly impossible to kill! 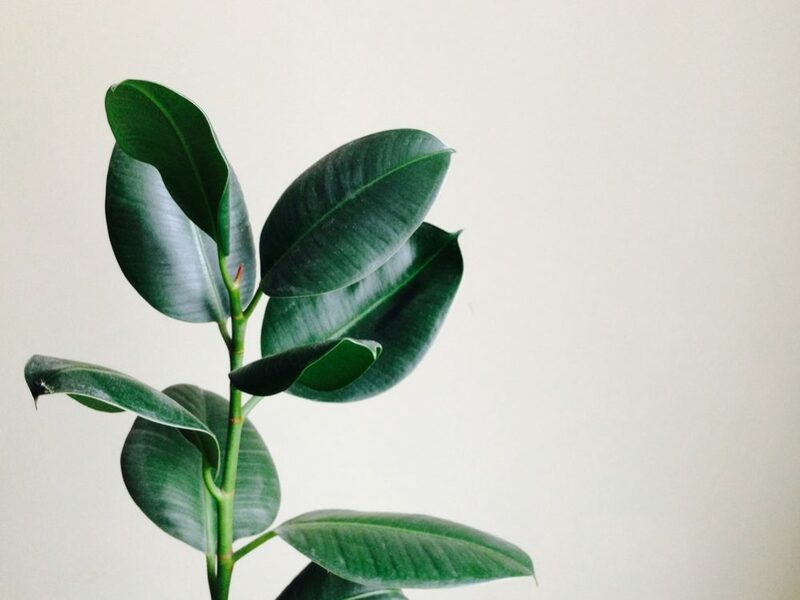 Rubber trees can grow very tall in their native Asia, but even as a houseplant, they can grow into a dominating presence with a big personality. They have dark green waxy leaves and are tolerant of a range of conditions. They can also grow outside in frost-free areas. 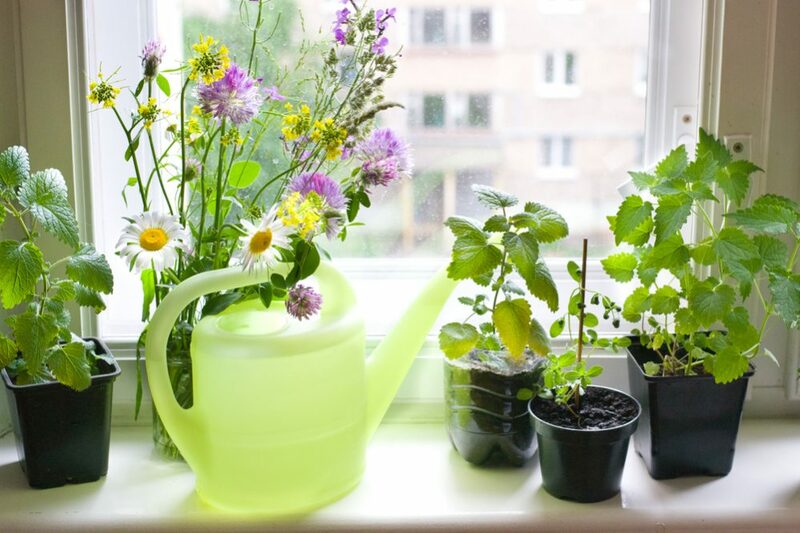 They don’t need too much water – allow the soil to dry out between watering. They are happiest in warmer temperatures of around 60-80°F. 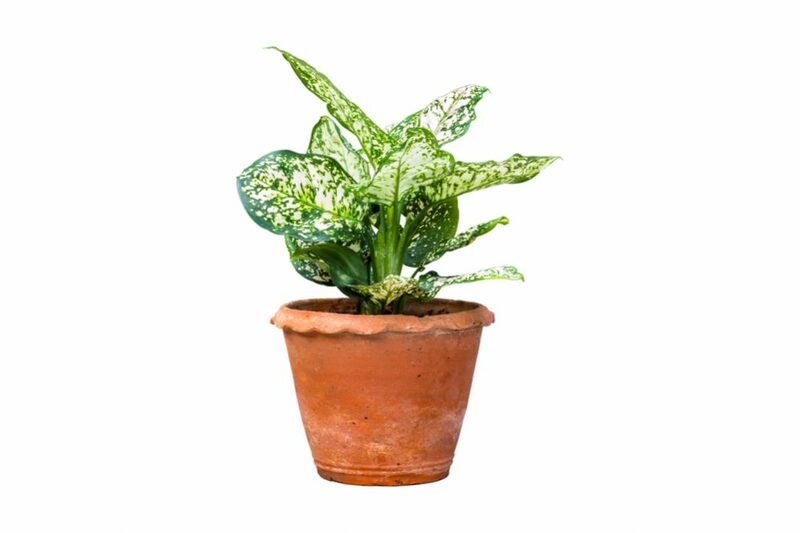 A classic houseplant that has been popular for many years – probably because it is so easy to look after. These plants add an attractive dash of light green to a room, brightening up the interior space and giving the place an airier feel. The leaves spill out over the pot, hanging down attractively. They don’t need too much love and attention, but to keep them happiest, make sure the soil remains slightly moist. They do best in moderate to bright light conditions. 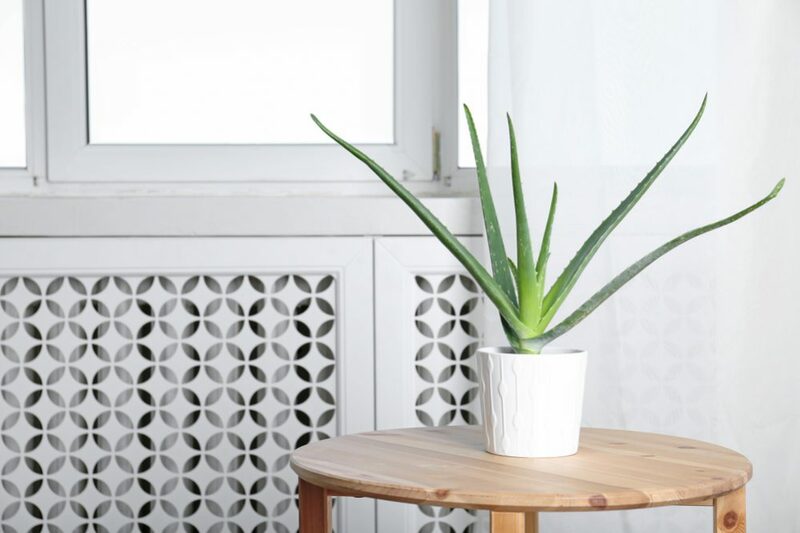 The aloe, along with the smaller aloe vera, is known for its medicinal properties, but it also makes a handsome houseplant in its own right – and it also happens to be extremely easy to look after. Aloe plants can grow surprisingly tall – as high as 3ft. They prefer dry soil, so don’t overwater them; they enjoy temperatures of around 70°F and will thrive in places where there is plenty of light. This name covers a number of house-friendly plants that are all hardy and undemanding. They all have tough, shiny leaves and don’t require a lot of attention. They thrive in higher humidity and temperatures of around 60-75°F. Let the soil dry before watering. They are also a good choice of office plant since they even do well under fluorescent light. 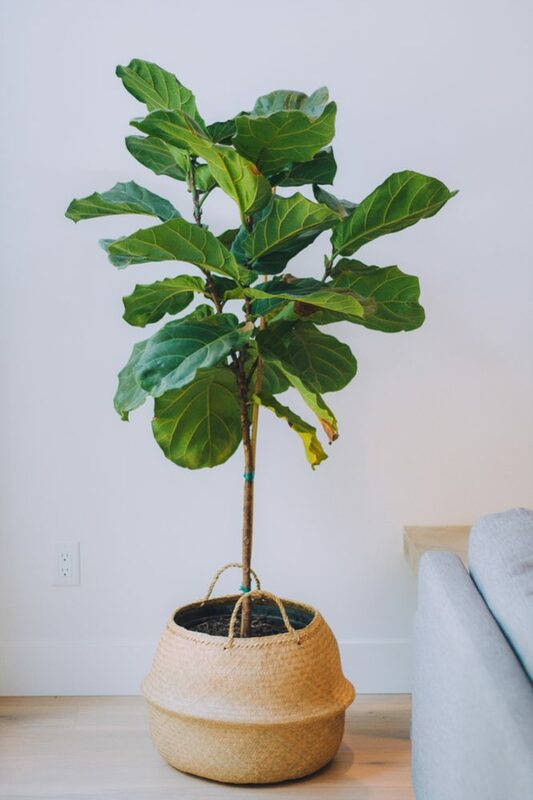 If you are looking for a beautiful indoor tree to liven up a larger room, the stunning fiddle leaf fig tree could be a good option. It takes its name from its handsome large green leaves and can grow to anything up to 15 feet tall! This tree is tolerant of low light conditions – although if the leaves start to show a little pallor, you should let it have a bit more sun. It prefers temperatures in the 65-75°F range, and it doesn’t need watering too often – let the surface of the soil dry before you give it another drink. This plant is sometimes known as the goldfish plant, and if you see its flowers, it’s easy to understand why – they closely resemble bright orange fish swimming around in the dark green, waxy foliage. This plant does best in bright light. You should keep the soil moist without overwatering; in summer, feed weekly with fertilizer. In winter, let the soil dry out and water less frequently; there is no need to fertilize in winter. 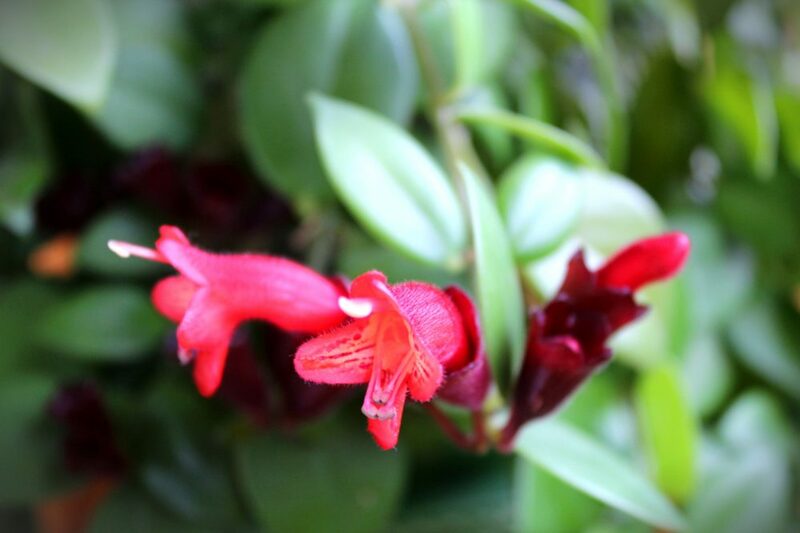 Columneas suffer very few diseases or insect problems, and they are an ideal plant for hanging baskets. 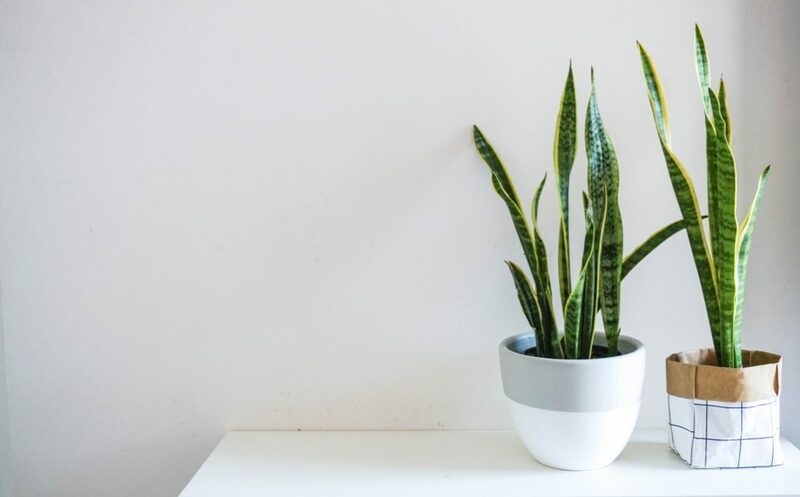 Due to its light green leaves with hints of silvers and greys or other colors, this attractive but tough plant is ideal for placing in somber rooms to bring a brightness to the room. It can grow to up to three feet tall, meaning it will require a medium amount of space. These plants do well in low to medium light conditions. They prefer temperatures in the 60-75°F range and should be kept evenly moist without overwatering. 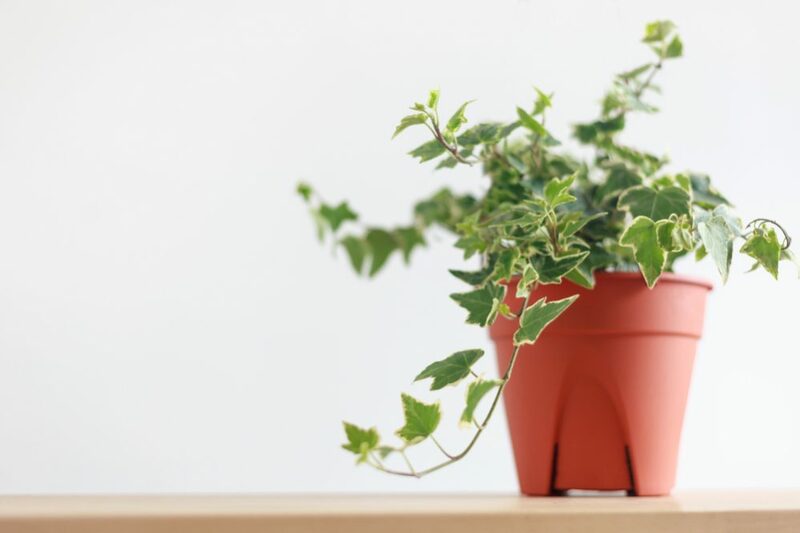 The English ivy is a pretty climbing plant with delicate mottled leaves. It will climb up anything it can attach itself to or if not, it will send out long tendrils of up to six feet down the floor, which can result in a very attractive look. It is a hardy plant but prefers temperatures of around 55-75°F. The soil should be kept moderately moist. Like many plants from this family, the leaves are poisonous and should be kept away from children and pets. This hardy, low-maintenance plant is a good option for people who don’t have time to care for their plants every day. It doesn’t require much water and is quite happy at room temperature. It does best in bright light and about 65-75°F. 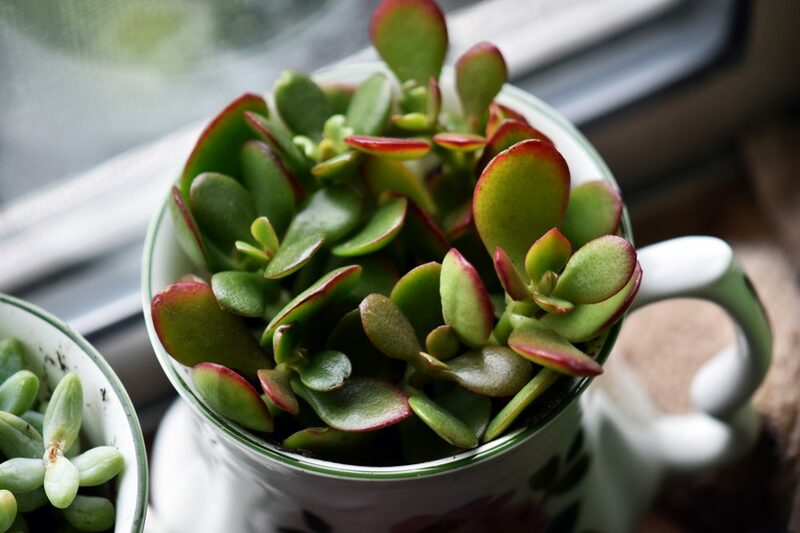 These plants can live for many years – they simply go “dormant” when they don’t receive enough water – and some jade plants produce attractive mottled leaves. Keep slightly moist and let the soil dry before watering. 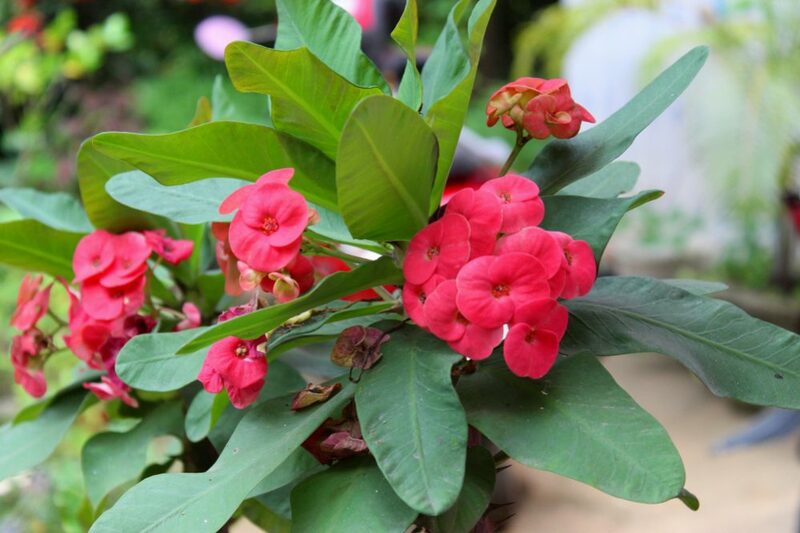 The crown of thorns is an attractive plant with pretty flowers that come out in winter – the flowers are usually red, but now it is also possible to see other colors too. This plant is native to Madagascar. It prefers bright light but not too much water. Unsurprisingly with such a name, this plant has a nasty side. Be careful of the thorns – as well as the sap, which can cause blisters. 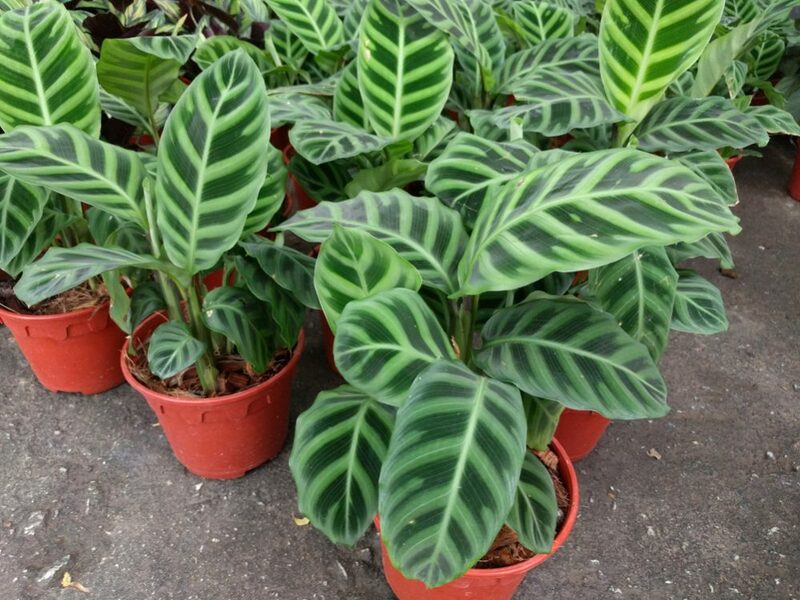 The ZZ plant is an East African native with tough, shiny dark green leaves. 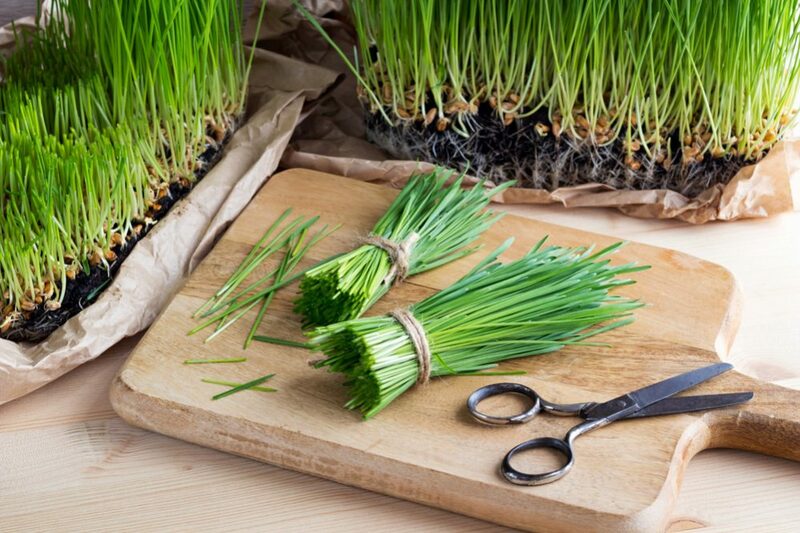 It can grow just about anywhere and is tolerant of lack of water, low light and low humidity. 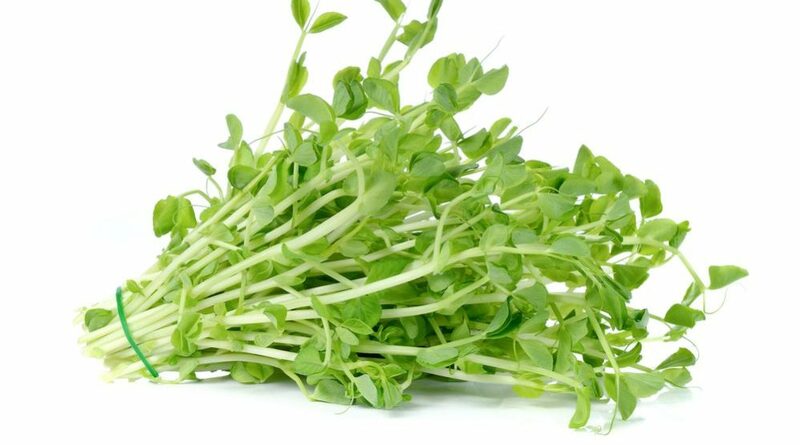 It is generally a slow-growing plant, but if you let it see a little more light, you will notice that it can start to grow a lot faster. The ZZ plant is a great choice of hardy and resistant houseplant that won’t clamor for attention. 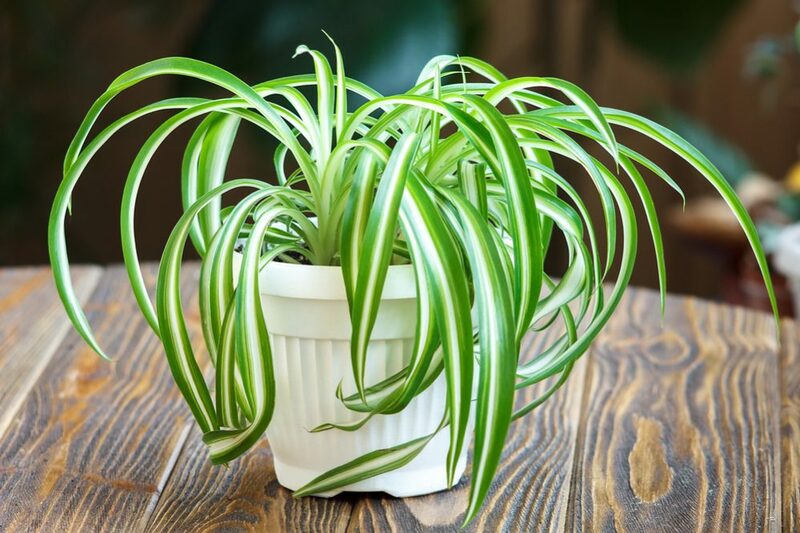 This plant has two common names, the snake plant or the mother-in-law’s tongue plant. 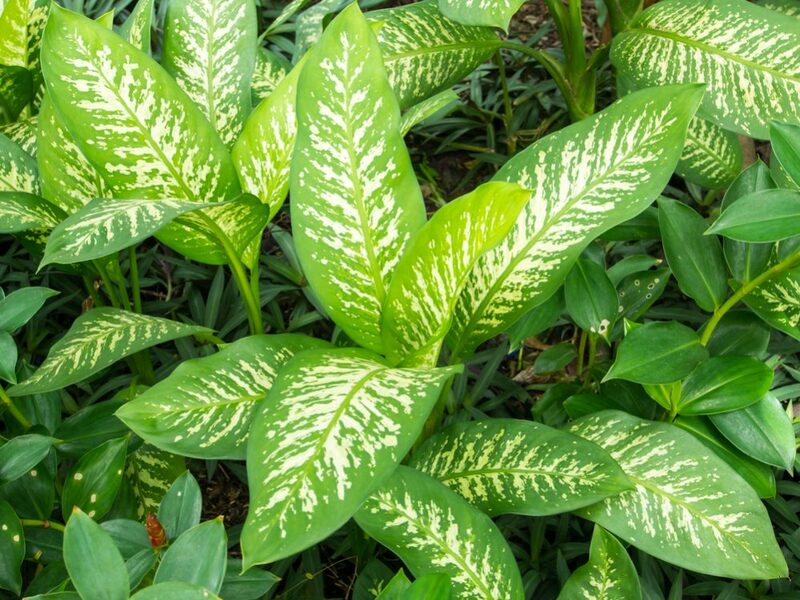 It has pretty, variegated leaves that stand up straight, stiff and tall and is a low-maintenance but attractive addition to an interior space. It is not a fussy plant, but it prefers dry air and dry soil – in terms of temperature preferences, it is very tolerant. These are the kind of plants you can leave unattended for a couple of weeks with no ill effects. 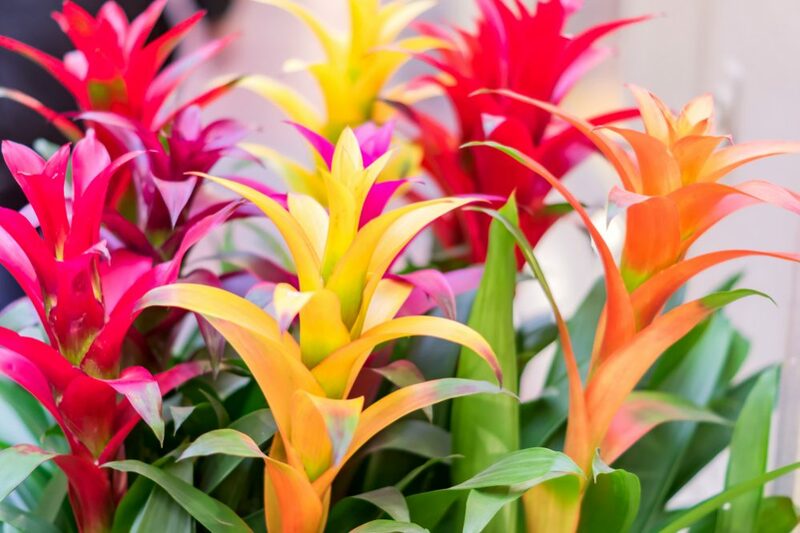 There are lots of species of bromeliad, but they are all tough, resistant plants and they are also colorful and attractive. They actually belong to the same family as the pineapple – as can clearly be seen from the shape of some of them. They mostly prefer temperatures of around 70°F and can live for a long time. If you want to obtain the most spectacular colors, make sure they see plenty of light. This is a plant that does well if kept out of direct sunlight. It prefers temperatures of around 60-80°F, should be kept evenly moist and can grow to up to six feet tall. 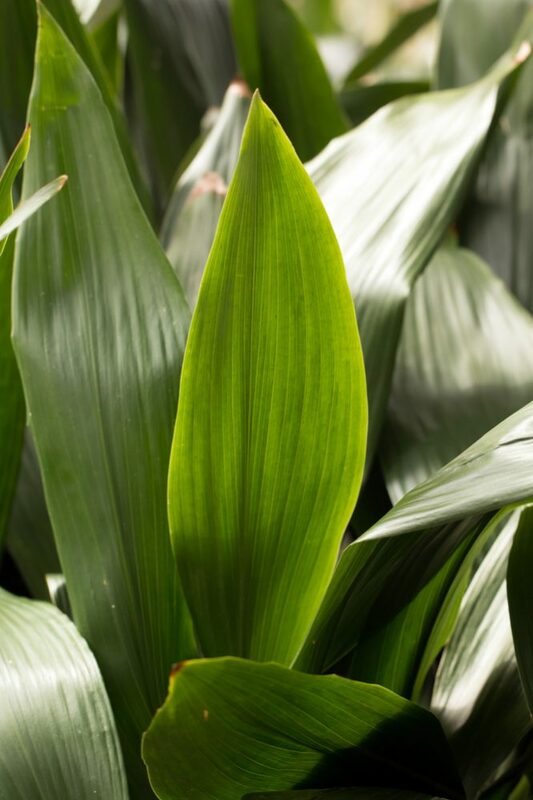 It is an attractive plant with a lush foliage of green and white leaves. Be careful with this plant – one of its common names is the “dumb plant”, which comes from the fact that it is poisonous and will cause the throat and mouth to swell up and go number if eaten. With a name like this, you would expect one tough plant – and this species doesn’t disappoint. 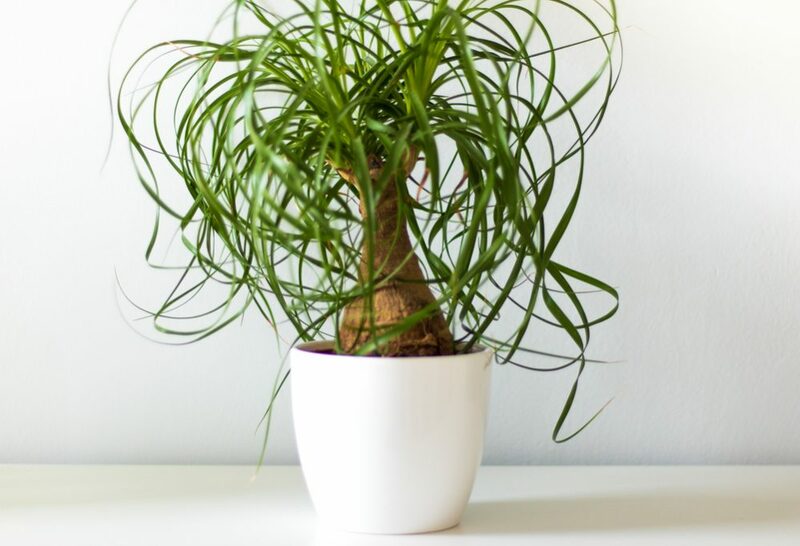 This is one of the hardiest houseplants you can find and will keep on living through neglect, low light, lack of water and low temperatures. However, just because it’s almost impossible to kill, it doesn’t mean you should try. If you want it to do well, keep it evenly moist – other than that, it will put up with almost anything. This rather curiously-named floor plant is a member of the Dracaena family. They are quite content in low light conditions although they tend to do better in medium to bright light. They have the potential to grow quite tall, up to around 10ft, so make sure you keep it under control if your space is limited. Be careful if you have pets – the leaves are poisonous to dogs. 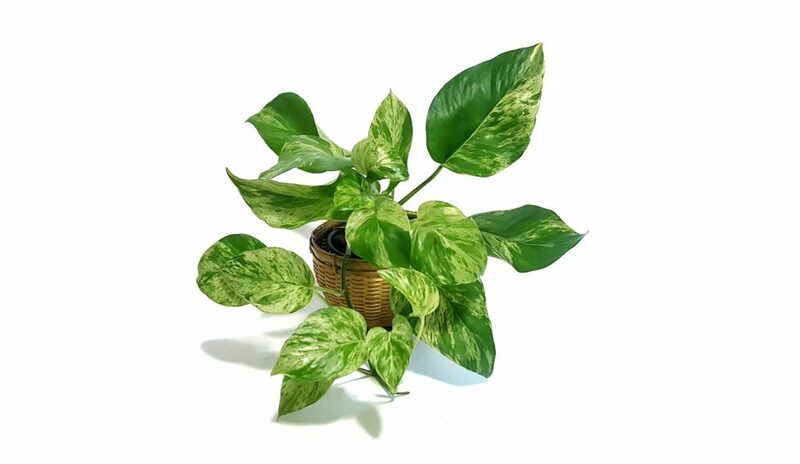 The pothos, also known as devil’s ivy, is easy to keep and requires little care and attention. It survives well in low to medium light and won’t die even if you forget to water it for a while. 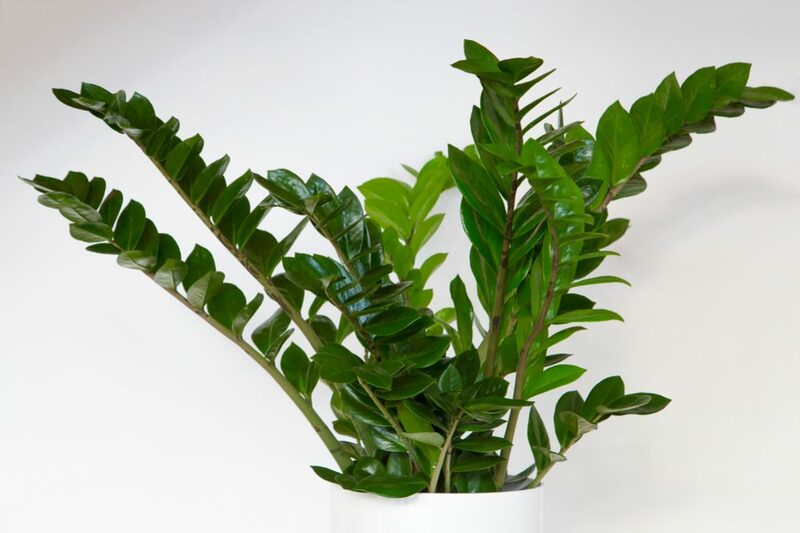 It sends out trails of attractive variegated leaves that you can simply cut back if they become too long, and it even has strong air-purifying qualities! Wait until the soil is dry before watering. 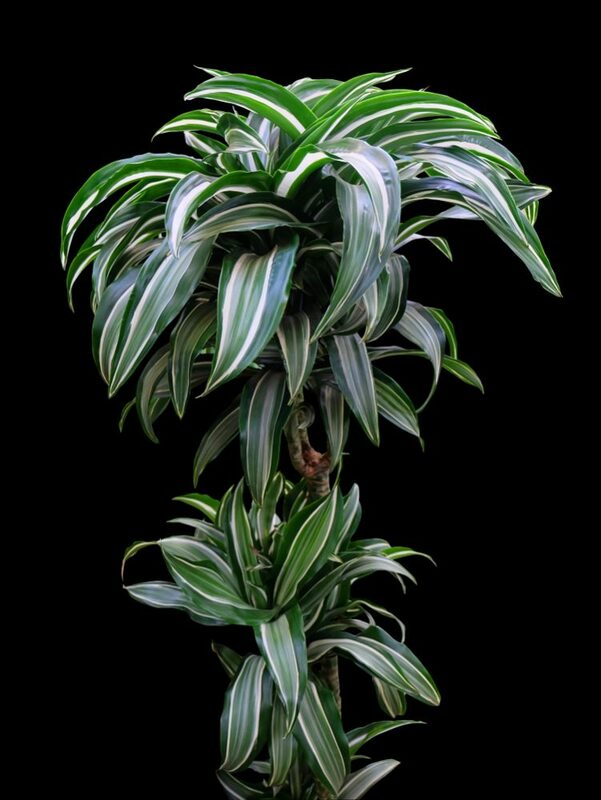 This tough and durable but highly attractive plant is a great option to add some exoticism and color to your interior space. It can survive quite happily in lower light conditions, although it will produce the most vibrant colors when placed somewhere brighter. It doesn’t need to much water either – let the soil dry out before watering again. Be careful with this plant if you have children since the leaves are poisonous if chewed or swallowed. The Ponytail palm is native to Mexico, and it doesn’t require lots of water since it is able to store water in the stem in preparation for drier times. Its name is a misnomer – it isn’t a palm at all and actually belongs to the succulent family. It does best in bright light and temperatures of around 65-75°F. It is a very hardy species; just make sure you don’t overwater it. They can grow pretty tall too – up to ten feet – so make sure you have plenty of space or keep it under control. 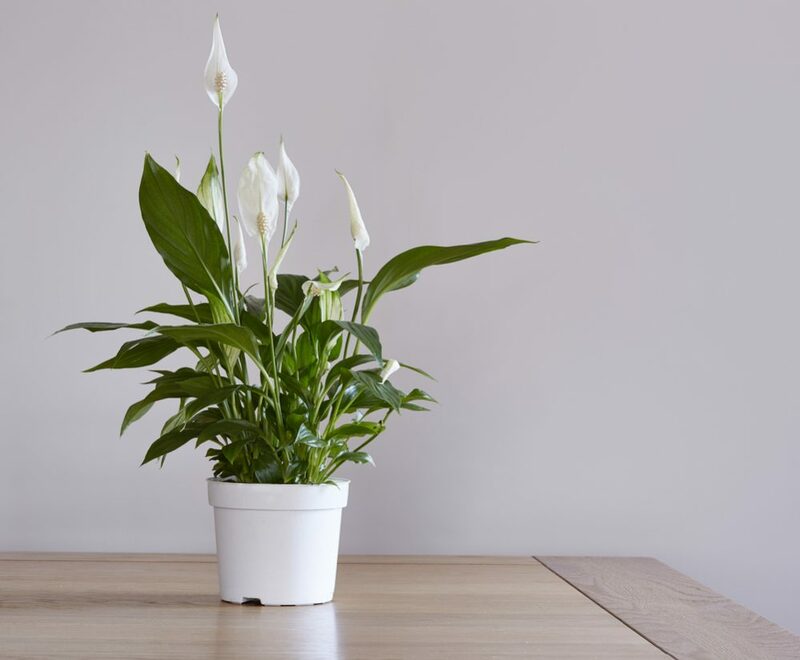 Peace lilies are a delightful plant with lush green leaves and striking white petals. 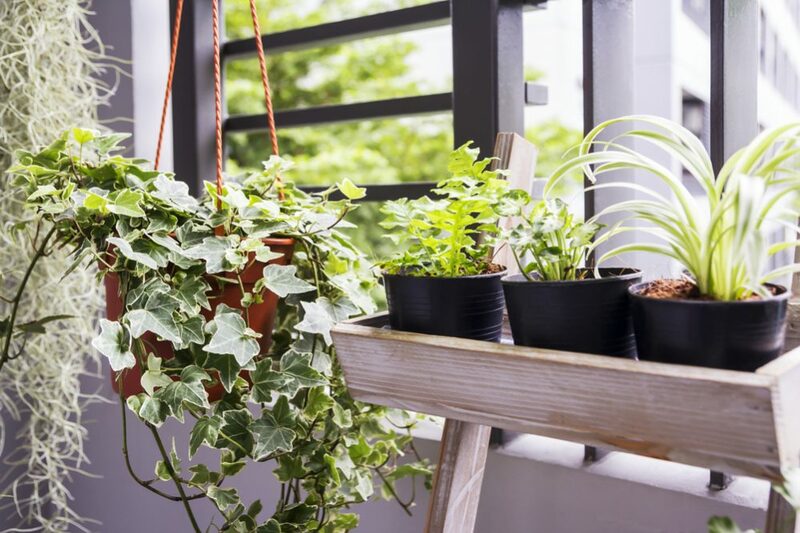 They are very easy to keep and can grow up to six feet tall – so make sure your space is large enough to accommodate such a big plant. They can also filter toxins from the air. They prefer low humidity and are perfectly content in low-light conditions. The ideal temperature for peace lilies is around 85°F. 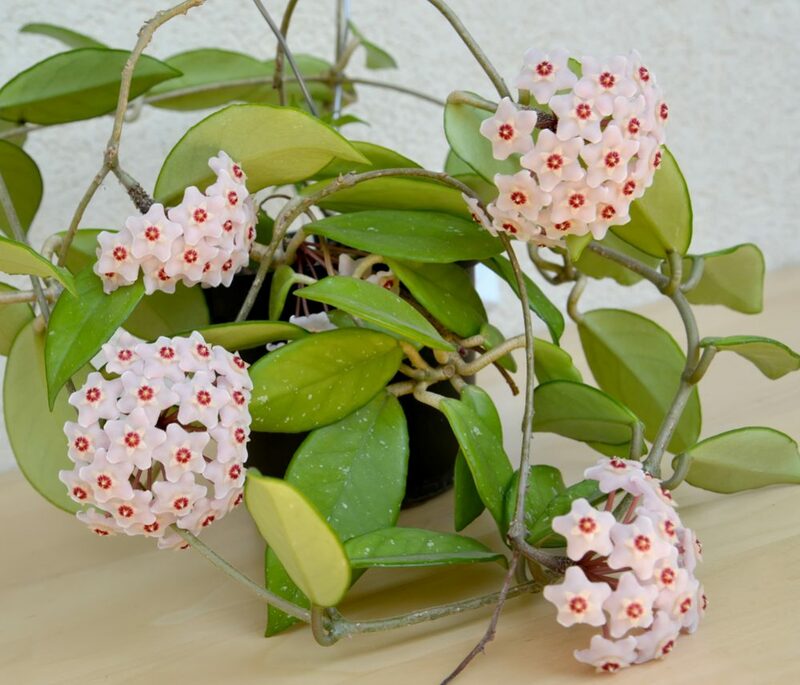 Hoya is actually a name that includes quite a few related plants. 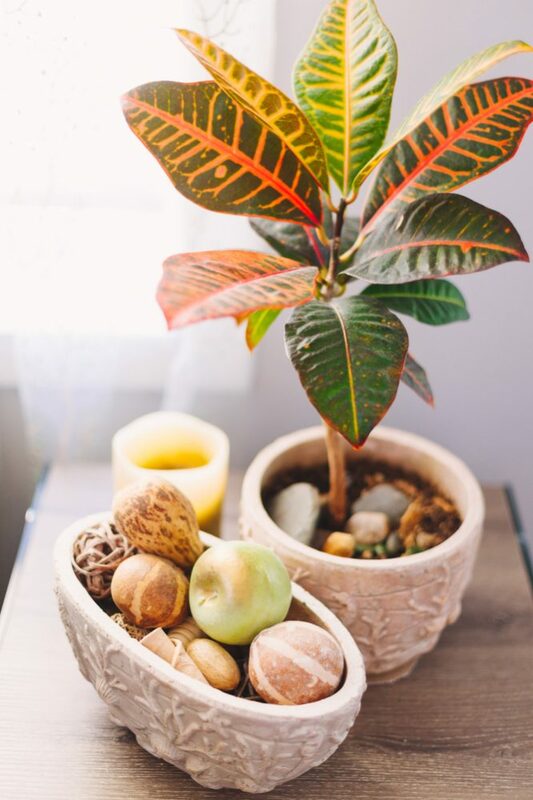 They are also known as wax plants due to their tough, waxy leaves – like many waxy-leafed plants, they will make resilient additions to your collection and will last a long time. There’s not a lot you need to do to keep your Hoya healthy. As long as you water it from time to time and fertilize in the summer, these cute plants will keep you company for some time to come. Note, most Hoyas don’t like direct sunlight so make sure you don’t place them anywhere too bright. 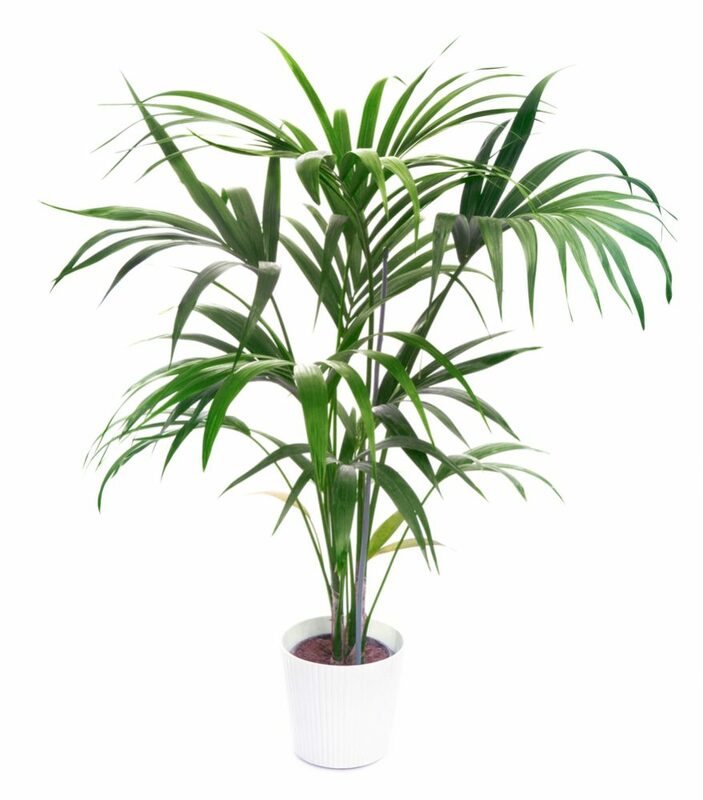 If you are a fan of the drooping, exotic look of palms and you would like one for your home, a good choice that is likely to survive well is the kentia palm. These trees tend to spread out as they grow and can take up quite a bit of space – but they add a whole new level of richness to a room. However, if you want a large plant to begin with, buy one that is already the size you require since they grow very slowly. They prefer locations with low to medium light and don’t require watering too often. These plants are known for their patterned leaves, which may show colors including pink, white, yellow and purple; it is not hard to guess where one of the common names for this plant derives from – the “peacock plant”. They do best in low light conditions and temperatures of around 65-75°F. You will need to water it to keep it alive – about once every two days to a week will do it. Try to keep the soil slightly moist. The one thing they don’t like is direct sunlight, so try to avoid placing them in too much light. 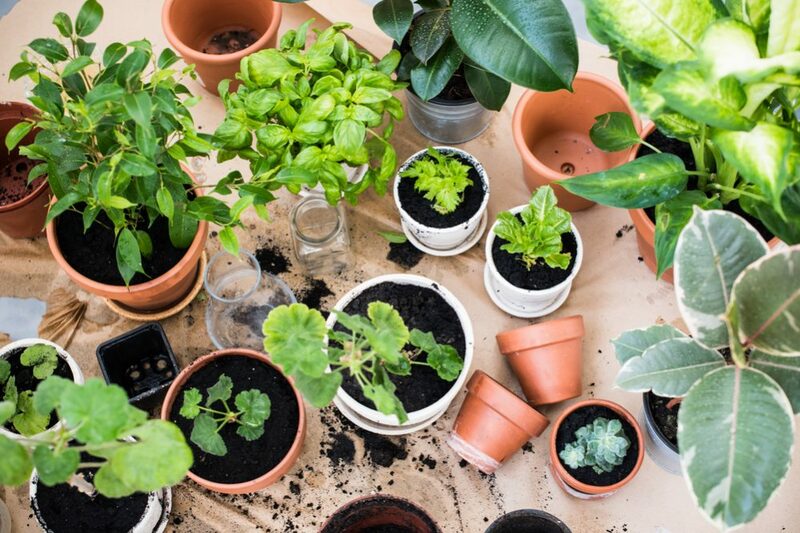 Whether you’re a complete beginner when it comes to plants, whether you’re often away from home – or whether you just always seem to kill your green companions – if you choose well, there are some wonderful, attractive plants that will brighten up your home. And they probably won’t die. Which plants do you keep at home? Do you struggle to keep them alive or do you already have some of the tough and resilient species we mentioned in the article? If you have any questions or anything else to add please leave a message – and if you enjoyed reading, please don’t forget to share!